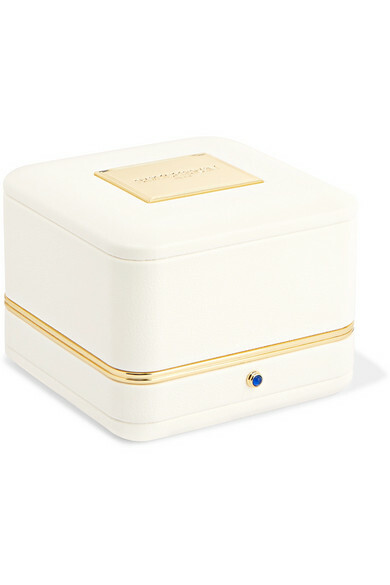 Boucheron's 'Quatre Radiant' necklace marks the 120th anniversary of the Maison's Place Vendôme boutique - founder Frédéric Boucheron originally chose the spot for its beautiful sunlit position. 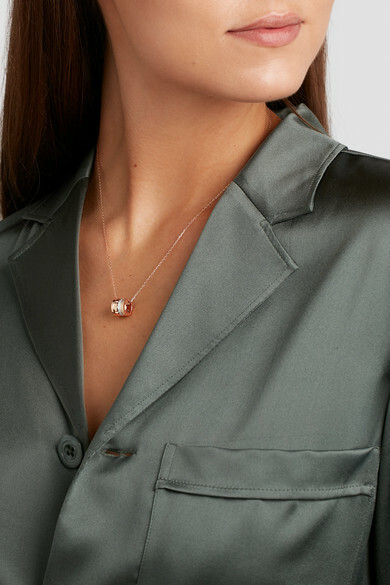 The 18-karat rose gold ring pendant combines four signature graphic bands punctuated with a pure line of 16 diamonds totaling 0.25-carats in an 18-karat white gold mirror setting to enhance their shine. 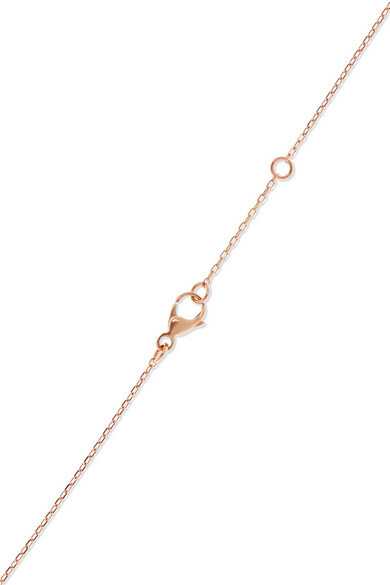 It's threaded onto a delicate chain that can be worn at two different lengths. 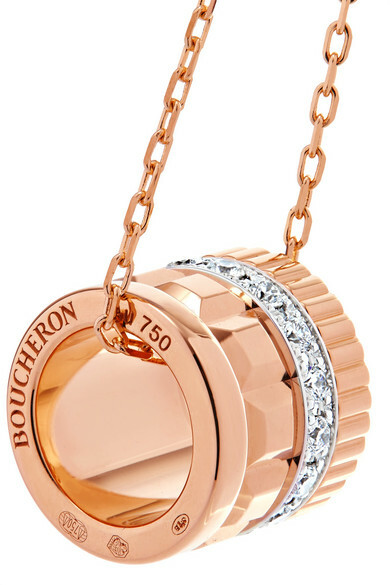 Shown here with: Joseph Shirt, Boucheron Bracelet, Boucheron Necklace, Boucheron Ring.